Contact - Michael Ascher, M.D. 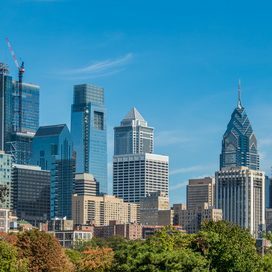 Dr. Ascher sees patients in Philadelphia’s Rittenhouse Square and Bala Cynwyd, which is located on the Main Line in Pennsylvania. Due to a high volume of inquiries, Dr. Ascher may not be able to return phone calls, so please fill out the contact form on this website and Dr. Ascher will try his best to answer within 24 hours. Dr. Ascher’s practice is typically at full capacity and he can accept new patients on a very limited basis. Dr. Ascher is not able to schedule long distance virtual consultations at this time; however, exceptions can be made for those who are able to travel to the office for the consultation and frequent follow-ups in between phone sessions. Unfortunately Dr. Ascher is not able to offer clinical advice over email. There is ample 2-hour metered street parking along the blocks surrounding the Medical Tower, which may be more or less easy to find depending on the time of day. If you plan to street park, give yourself some extra time to find a space. There are two less expensive lots (Town Garage at 1524 Latimer Street and Latimer Garage at 1510 Latimer Street) that are a block and a half away on Latimer Street. The Medical Tower Building is located at 255 S. 17th Street, Philadelphia, PA 19103, which is on 17th Street between Locust and Spruce Streets in Center City. It is about 1.5 blocks from Rittenhouse Square (from the Square, walk one block east on Locust Street, then make a right on 17th Street, and the Medical Tower Building is ahead on your left). Regional Rail: Take SEPTA regional trains to Suburban Station at 16th and John F. Kennedy Boulevard. Walk over to 17th Street, and then walk south (making a left onto 17th) about 4 blocks, and the building is on the left (you will pass Market, Chestnut, Walnut, and Locust Streets as you walk south on 17th Street). See SEPTA regional rail map for how to get to Suburban Station. Subway: Take the Market-Frankford subway to the 15th and Market Street stop (see SEPTA map). Walk over to 17th Street, and then walk south (making a left onto 17th) about 3 blocks (you will pass Chestnut, Walnut, and Locust Streets), and the building in on the left. You can also take the Broad Street Subway to the Walnut-Locust station (see SEPTA map). Walk down Locust Street west (passing 15th and 16th Streets), and then make a left onto 17th Street. The building is on the left. Bus: Take any city bus that travels down Walnut or Chestnut Streets (routes 9, 12, 21, or 42), and get off at 17th Street. Walk south (passing Locust Street), and the building is on the left. You can also take bus routes 17 or 2 and get off at Locust Street, then walk toward 17th Street. Finally, the 40 bus travels on either Lombard (west) or South Street (east) and can be used to get off at 17th Street. You’d then travel north for 2-3 blocks to the Medical Tower. See SEPTA Bus map for details. From New Jersey: Cross the Ben Franklin Bridge, and follow the signs for I-676 West. Once on I-676, take the Broad Street exit, and after the ramp, stay right to continue straight down 15th Street (you will pass City Hall on your left). Pass Chestnut Street, and at Walnut Street, make a right turn. Go two blocks, and make a left onto 17th Street. Pass Locust Street, and the Medical Tower is on your left. If coming into Pennsylvania from the Betsy Ross or Walt Whitman bridges, follow I-95 South directions below. From 95-South: From I-95, take I-676 West toward “Central Philadelphia.” Take the Broad Street exit, and after the ramp, continue straight down 15th Street (you will pass City Hall on your left). Pass Chestnut Street, and at Walnut Street, make a right. Go two blocks, and make a left onto 17th Street. Pass Locust Street, and the Medical Tower is on your left. From I-76 East: Pass the I-676 East exit, the take the South Street exit (left exit ramp). At the top of the ramp, make a left onto South Street and cross the bridge. Follow South Street for about 5 blocks until 18th Street, and then make a left onto 18th Street. Go four blocks, passing Lombard, Pine, and Spruce Streets, until you reach Locust Street. Make a right onto Locust Street, then an immediate right onto 17th Street. The Medical Tower is just ahead on the left. From I-76 West: Take the South Street exit ramp (a left exit ramp). At the top of the ramp, make a right onto South Street, and cross the bridge. Follow South Street for about 5 blocks until 18th Street, and then make a left onto 18th Street. Go four blocks, passing Lombard, Pine, and Spruce Streets, until Locust Street. Make a right onto Locust Street, then an immediate right onto 17th Street. The Medical Tower is just ahead on the left. Free parking is available at this location. 191 Presidential Blvd is a residential condominium/commercial office building. Please walk through the main lobby and ask the concierge staff to direct you to Dr. Ascher’s office located in Suite W10. The office is accessible from City Avenue, I-76 ramp, Lincoln Drive and West River Drive, and is convenient to Center City Philadelphia, East Falls, Mt. Airy/Chestnut Hill, Manayunk, Roxborough, Wynnewood, Overbrook, Villanova, St. David’s, Broomall, Gladwyne, West Conshohocken, Penn Valley, Merion Station, Ardmore and Narberth. Take 76 West from Philadelphia. Take exit 339 on the left (US-1/City Ave.). After the bridge, make the first right onto Presidential Blvd. NORTH (Large overhead green sign.) Follow Presidential Blvd. until you see 191 Presidential on the right. If you get to a light at Presidential and Monument, you went a little too far. Take Route 1 North and turn left at Monument Road (Target Shopping Center and TV stations). Go one block to Presidential Blvd and turn right. The building will be on your left. If you miss the turn at Monument, you cannot turn left again for a while so try to turn right when possible and then go south on City Ave. to Monument. Take Roosevelt Blvd. South until it turns into City Ave. when it crosses Route 76. Make the first right onto Presidential Blvd NORTH. (You will see a large green sign overhead.) Follow Presidential Blvd. until you see 191 Presidential on the right. If you get to a traffic light, you went little too far. The office is on the Bala Cynwyd side of City Ave., opposite from Target. Walk one block on Monument Road away from City Ave., past Channel 10, and you will be at the intersection of Presidential Blvd. Turn right and the building will be on your left. 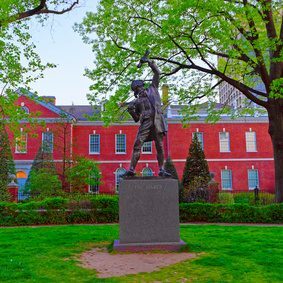 Dr. Ascher is a psychiatrist in Philadelphia, serving clients in Center City and the Philadelphia Main Line area, including Wayne, Villanova, Bryn Mawr, Rosemont, Gladwyne, Radnor, Haverford, Ardmore, Wynnewood, Narberth, Merion, Strafford, Berwyn, Devon, Malvern, St. Davids, Lower Merion Township, Radnor Township, Haverford Township, Tredyffrin Township, Easttown Township, Willistown Township, Montgomery, Delaware, Chester County Pa.